HostSearch interviewed Eric Jones, VP of Global Brand and Communications for WP Engine - which powers amazing digital experiences for websites and applications built on WordPress. HOSTSEARCH: Eric, thank you very much for giving us an opportunity to talk with you today. Can you please tell us briefly about your background? ERIC JONES: I am the VP of Global Brand and Communications for WP Engine, and am responsible for driving awareness of the critical role websites play in an organization’s digital marketing and sales initiatives. I also oversee the global brand and communications teams that define WP Engine's narrative across all areas of the marketing, social and content mix. I spent the last three years as marketing partner for North Bridge Growth Equity & Venture Partners, a $3.8B venture firm and prior to that I spend over a decade as the NY tech practice head for Edelman, the largest PR firm in the world. ERIC JONES: WP Engine powers amazing digital experiences for websites and applications built on WordPress. With award-winning customer support and state-of-the-art technology, the company's managed WordPress platform provides performance, reliability and security to brands, agencies, SMBs and individuals. Engineered at a code level to make resource-hungry WordPress deployments run faster, the WP Engine platform displays stunning speed while incorporating an industry-leading hardened infrastructure that allows webpages to load up to four times faster than any non-WordPress platform. Offering different plans to fit the needs of customers ranging from individuals to the enterprise, the WP Engine platform helps our customers create robust and reliable websites with direct SFTP, Git version control, built-in CDN, enhanced security, one-click staging, automated migrations and restore, and more. 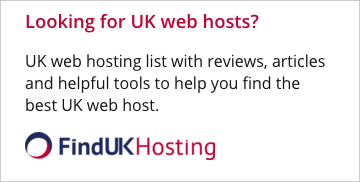 HOSTSEARCH: What is the main reason your company chose to focus on WordPress hosting? What kind of challenges do you deal with for this particular type of hosting? ERIC JONES: Start-up veteran Jason Cohen created WP Engine while he was a stay-at-home dad in 2010 out of necessity-- he could not find a solution to host his blog. In talking to industry contacts and peers, he quickly realized many others were facing similar challenges. He was already using WordPress as his CMS and saw the potential of leveraging an open source platform that would be continuously improved by the community. What was missing was a strong hosting provider, and as a result, WP Engine was born. With all hosting comes challenges and making sure websites can scale and thrive amid sudden traffic spikes, changing markets and unforeseen conditions are a necessity in this day and age. At WP Engine, we will continue to provide the best platform available for WordPress sites by delivering stunning speed, powerful security and best-in-class customer service. HOSTSEARCH: What is the WP Engine Labs? How does it work? ERIC JONES: WP Engine Labs serves as the incubator for cutting-edge projects within the WP Engine R&D group. The labs team focuses on innovating in two distinct areas: First, alpha prototypes, in which the WP Engine platform itself is innovated on to provide new exciting technologies for customers. Second, open source, which is the way we contribute back to the community. HOSTSEARCH: Can you please explain the new tool “Page Performance”? What are the advantages for customers using this service? ERIC JONES: It’s clear that a poor digital experience sinks sites in a heartbeat -- a study by Akamai and Gomez showed that even a one-second delay in page load time will result in 11 percent fewer page views, a 16 percent decrease in customer satisfaction and a 7 percent drop in conversion. With site owners and developers literally on the clock, it’s critical that the customer experience be seamless in order to not affect the bottom line – it’s all about performance and conversion. ●	Access to Key Metrics on Any Page with Report History to See Improvements over Time. Report includes such metrics as cacheability, render start, visitor complete, render complete and other data. ●	Actionable Recommendations with Rich Context including links to a library of support material enable users to make fast, significant, measurable impact to site performance. ●	Integrated into WP Engine User Portal to support a convenient developer workflow. HOSTSEARCH: As the VP of Communications of WP Engine, can you please tell us how do you market each product and what channels are you using and planning to use? ERIC JONES: In this day and age it is important that we share our message through a variety of channels reflecting the fact that the way business communicates with customers has changed forever. At WP Engine earned media continues to be a critical vehicle ensure our current customers and potential customers are aware of the options, technologies and approach we offer to the marketplace. Naturally, though, since we’re one of the companies that is helping to democratize publishing we also do a fair amount of our own branded content creation. This comes in the form of a WP Engine blog but also through Torque, a WP Engine publication which has complete editorial independence. Torque is a news site featuring all things WordPress - where beginners or advanced WordPress professionals can learn more about the industry, tutorials, interviews, news, and more. Lastly, we communicate through our social channels as well - responding to customers and potential customers about any questions they might have about WordPress or WP Engine. Ultimately, it really is about going where our customers and prospects are to ensure that we reach them with the right message. HOSTSEARCH: What level of support do you provide? Can you please tell us more about how WP Engine supports the customers? ERIC JONES: Our Customer Experience team of 170 treats every interaction with a customer as an opportunity to listen, learn, serve and improve. They provide 24/7/365 white glove technical support via live chat, tickets, social media and phone. In 2015, we solved 139,000+ tickets with a 97 percent satisfaction rate and offered support through 175,000+ chats. Our Net Promoter Score (NPS) stands at 78 (anything +50 is considered excellent) which puts us in elite company. Additionally, excellent service is a result of our technician hiring and onboarding process. Hired technicians complete three weeks of classroom training, followed by four weeks of instructor-guided, on-the-job training. This commitment to employee screening and development ensures top-notch service with every customer interaction. 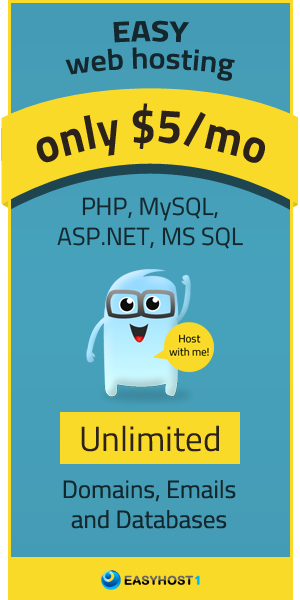 HOSTSEARCH: What can WP Engine do for the customers who wish to switch from their web host to your company? ERIC JONES: We’ve built our reputation by helping customers build their brands across an incredible breadth of industries and business types, and have the experience and trust of approximately 50,000 customers operating 300,000+ WordPress sites across 136 countries. Whether our customers are setting up a personal blog or an intricate and complex multi-site for their brand, WP Engine is prepared to help them reach their goals and make managed WordPress hosting a snap. We offer an automated migration solution which takes away all the labor intensive process of switching over to a new platform. Further, to ensure our customers have the best experience possible our award-winning customer service team is always standing by 24/7/365. HOSTSEARCH: Do you plan for any new lines of services? What can WP Engine customers expect in 2017? ERIC JONES: In the year ahead, the company will advance its customer-centric innovation to help customers solve all their business challenges – ecommerce, website and content performance intelligence, bullet-proof security, enterprise class availability and a more robust and scalable cloud infrastructure. We are focused on delivering the most viable solution for all size of customers, from SMBs to enterprises to the world’s largest brands and digital agencies. HOSTSEARCH: Eric, thank you very much for sharing your thoughts with us today.